Successfully Added 1/2.8 Inch CMOS IP Camera - 1080P Full HD, IR Cut, 40M Night Vision, ONVIF 2.0, 2.8 To 12mm Autofocus Lens to your Shopping Cart. 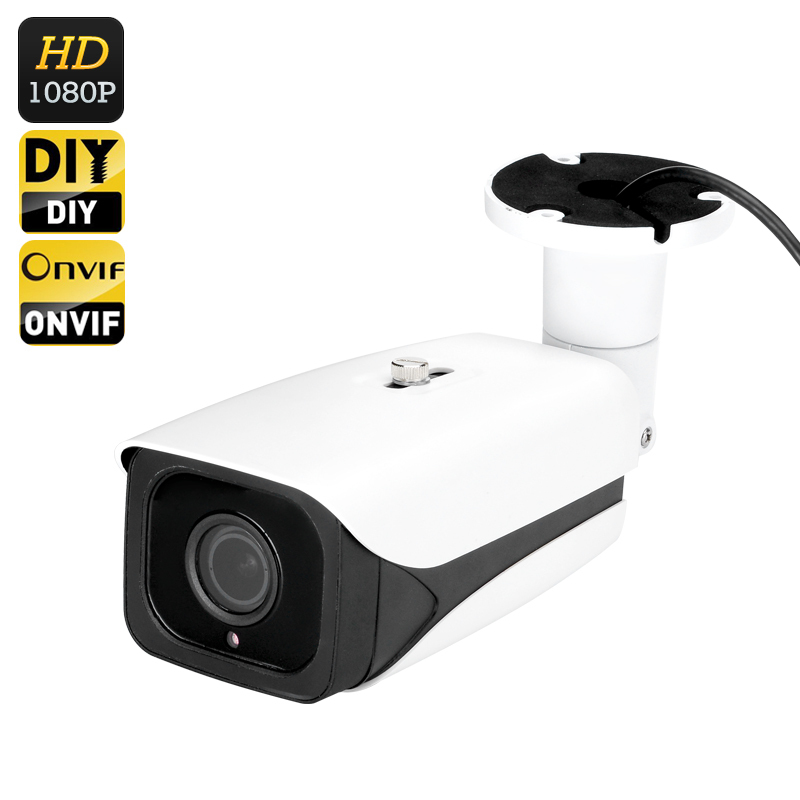 1/2.8 Inch CMOS home and business IP Camera will improve the security of your property and combined with its 2.8 to 12mm autofocus zoom lens it will bring pin sharp images rendered in full color with vivid details at 1080p full HD. This ensures that the camera will pick up all the crucial details, such as facial features, so you have a clear view of what's happening, even in low light. Suitable for indoor environments the camera has a 90 degree field of view making it suitable for covering large areas of an office, home or warehouse. With IR cut and 4 IR LEDs the camera achieves 40 meters night vision so even at night it can capture every event clearly. The motion detection alarm function you lets you set up a key detection point such as a doorway. It will then trigger if anyone enters the area and an email notification with snapshots of any suspicious activity will be send to you directly, even if your miles away. So you will know immediately if someone enters your property. With support for Android and iOS the IP camera can be checked on remotely from your Smartphone or tablet and the controlling app is quick and easy to download and install. Alternatively log in from your computer and monitor the feed directly from any corner of the globe. Most Browsers and common operating systems are supported. Complying with ONVIF 2.0, standards this affordable IP camera has a versatile range of features making it suitable for those looking to set up a new security system or expanding an existing one. With a cable through body mounting bracket this IP camera's cambes are completely sealed away, brining resistance against vandalism and leaving a cleaner, tidier finish after installation. The metal mounting bracket has great maneuverability, so you can rotate the camera in any direction after its mounted and fix it in the best position using the included hex key. This 1/2.8 Inch CMOS indoor IP camera comes with a 12 months warranty, brought to you by the leader in electronic devices as well as wholesale IP cameras..